Ski and ride apps to help resort-goers maximize their time on the mountain aren’t unique, but the Sherpa app being introduced by Copper Mountain for the upcoming season just might be. According to the resort, this is the first hands-free, geo-aware, on-mountain audio intelligence mountain guide available for smartphones. In other words, it talks to you, providing terrain and lift updates, local expert/insider tips, directions, and ski patrol beta. 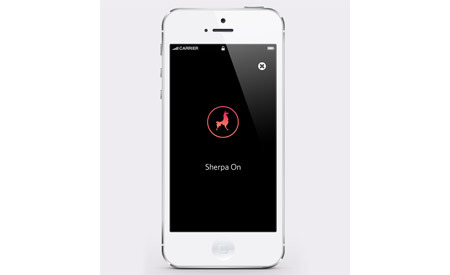 Sherpa will be available for free download for iPhone on November 1, 2013, and available for Android in mid-December. Copper Mountain has been working over the past year with Made Movement, based in Boulder, on designing and developing Sherpa. The first release will focus on mountain intelligence from long time employees and select guests; future releases will open the content creation up to everyone. Copper says Sherpa’s goal was to develop the first hands-free, geo-aware skiing and boarding app that feeds guests mountain-sourced intelligence via headphones. Sherpa was also created to shift the focus away from “me” and talk more about “we,” making all guests feel like a local by getting the inside scoop. It’s a pretty cool idea, coming from one of the true local’s mountains in Colorado to begin with. Sherpa provides information based on location using a phone’s GPS services. Users simply turn the app on, plug in headphones and Sherpa continuously delivers insider tips, directions and information through voice recordings — all without lifting a finger. Terrain updates include details such as which aspects have fresh snow, what runs will have ropes dropped and which will be groomed. Users can also receive information on traffic wait times and road closures, promotions and events. Best of all, the application will continue to get smarter as mountain intelligence is shared, and frequent updates are planned. For information and a demo video, visit www.coppercolorado.com/sherpa. Visit CopperColorado.com for the latest information on winter pass products, lodging deals and more.